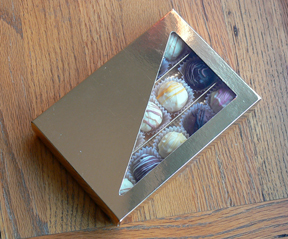 This presentation Favour box is designed to hold either 4 or 6 hand made Truffles from our selection. The popular combination is two white chocolate and two milk chocolate. If you prefer a dark chocolate, that isn't a problem. 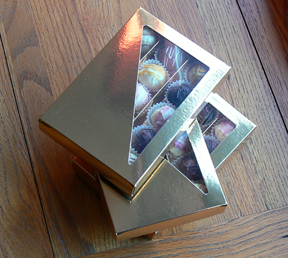 This Favour box is designed to hold either one or two hand made Truffles from our selection. 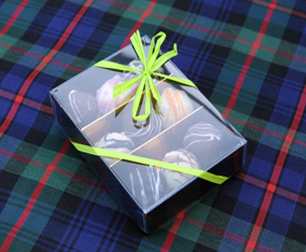 If you prefer, your choice of Truffles can be offered in this tasteful presentation bag. 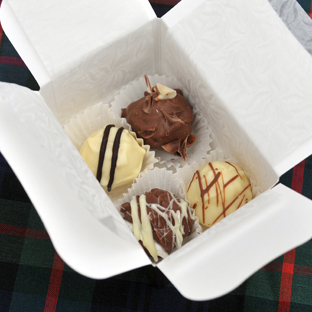 The norm for this presentation is up to 8 hand made truffles mix of White Milk or Plain. 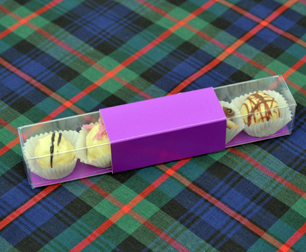 The Barrel Top presentation box is a popular choice for favours, and is designed to hold two Hand Made Truffles. 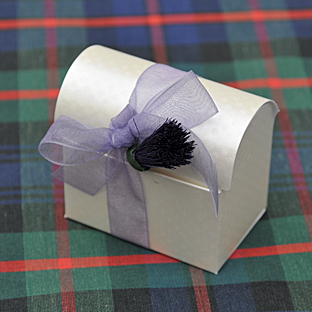 The box can be decorated with a piece of ribbon to match your colours, or with a Scots Thistle capturing the theme of the surroundings. 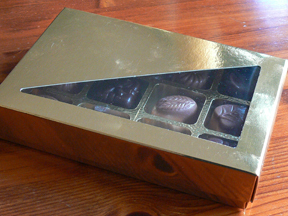 3 truffles in a transparent box. 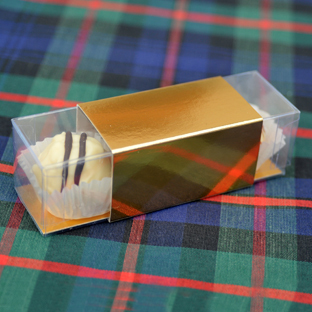 Gold sleeve can be decorated if desired.